This year, 2017, marks the 40th anniversary of UrbanGlass, whose birth was part of the flowering downtown art scene in gritty 1970s New York City. Beset by financial problems, the city struggled to control urban blight, which was everywhere. But so were vacant industrial spaces and cheap rents that would forever transform the city’s cultural map. The unlikely story of The New York Experimental Glass Workshop’s 1977 founding by Richard Yelle, just a year out of the Rhode Island School of Design’s MFA program, documents the adverse but unique conditions that allowed the alternative art scene to flourish and a glass art collective to take root. The article, “Origin Story,” is the first chapter in a planned yearlong series on the history of UrbanGlass that will chronicle the rise of a struggling artist co-op to become a thriving international flagship for the field. 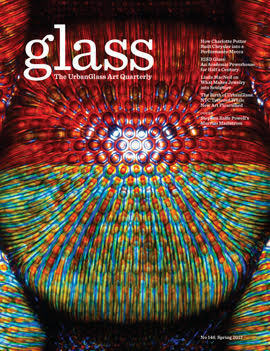 In celebration of this milestone, we proudly unveil a new design for GLASS magazine that includes an updated logo, cleaner type treatments, and a new approach to the graphic presentation of content. The magazine’s design had been last updated in 2003, and this celebration of UrbanGlass seemed the perfect moment to take a fresh direction. The update reflects the keen insights of the magazine’s longtime art directors, Stephanie and John Stislow, who for more than a decade have been honing the visual presentation of articles by some of the top arts writers to illuminate their critical insights. We hope the redesigned GLASS is even more effective at framing their arguments. 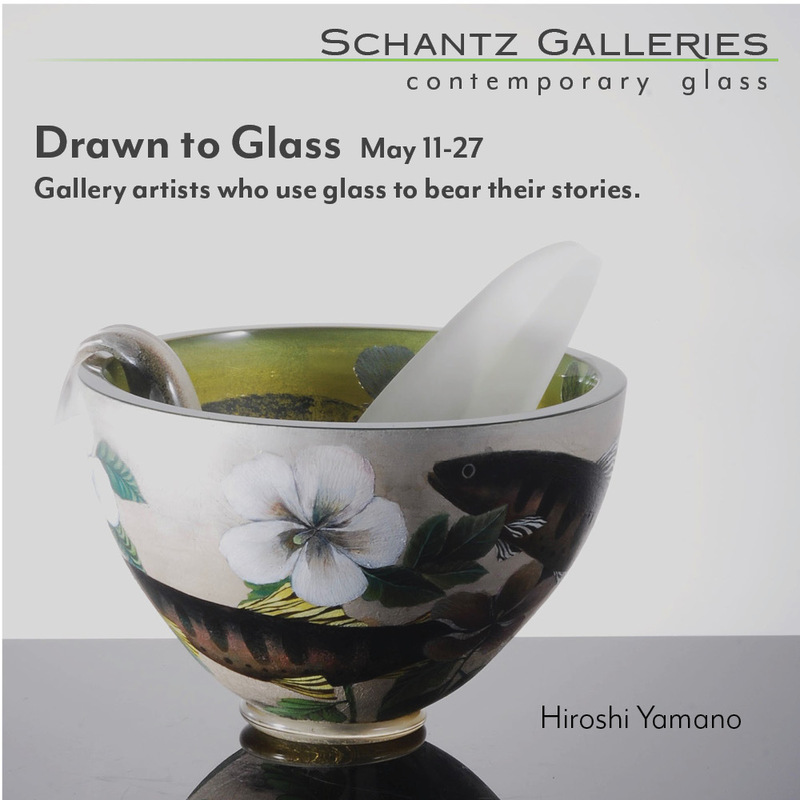 A conversation with Dan Clayman on his largest public art installation to date; Adriano Berengo’s Glasstress project comes to Boca Raton, Florida; an interview with Martin Blank on the installation of his new public art project in downtown Manhattan; in memoriam: Ron Desmett (1948–2016); curator Jutta-Annette Page discusses leaving Toledo to lead a new museum in Virginia. Meet studio artists Michelle Knox and Lorin Silverman. Stephen Rolfe Powell’s Zoomers panels recast the magic of traditional Venetian technique in a decidedly contemporary, expressive form. At the half-century mark, the influential glass art program at the Rhode Island School of Design shows no signs of giving up its leading role. 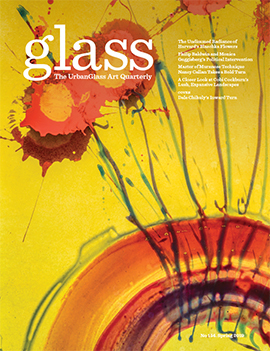 Through determination, Charlotte Potter has realized an ambitious vision of glass as a theatrical medium, putting the glass studio at a regional Virginia art museum at the forefront of the glass art world.